It’s the holiday season! And ya know what that means – families visiting, friends coming over and parties are happening (small and large)! At my house, if there are two or more people gathering, we got food! Ok, really, it can just be me alone, and I got food (keepin’ it real). 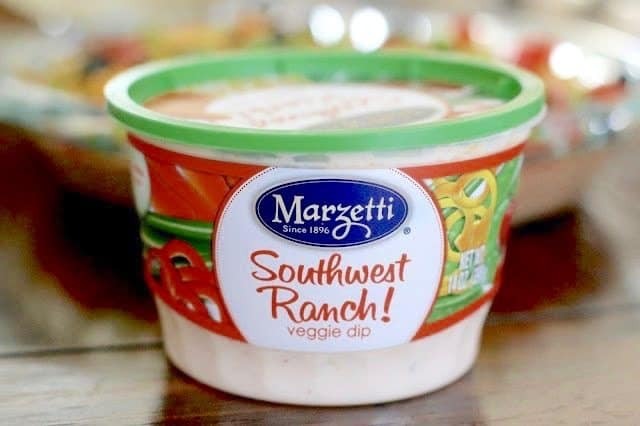 But I try to keep my fridge stocked with some veggies and Marzetti® Dip for all of us to snack on while we’re hanging out. I can set out a veggie tray (in the South, most folks call them relish trays) while we’re decorating the tree. Turn up the Christmas tunes and we’re creating memories! I am a firm believer that gatherings do not have to be elaborate or fancy and we can celebrate even the smallest of moments. Like finally getting the tree up after weeks of problems with our sewer system and having to gut out our entire downstairs. True story. So, we can certainly celebrate that we can now use our showers and wash our clothes – yay! 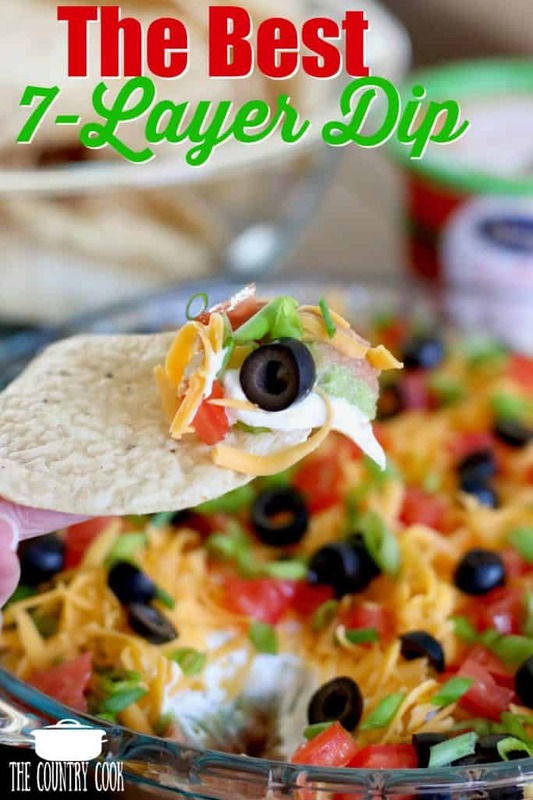 You can even buy your veggies already cut up so all you have to do is pop open the dip and place the veggies around it. Boom! 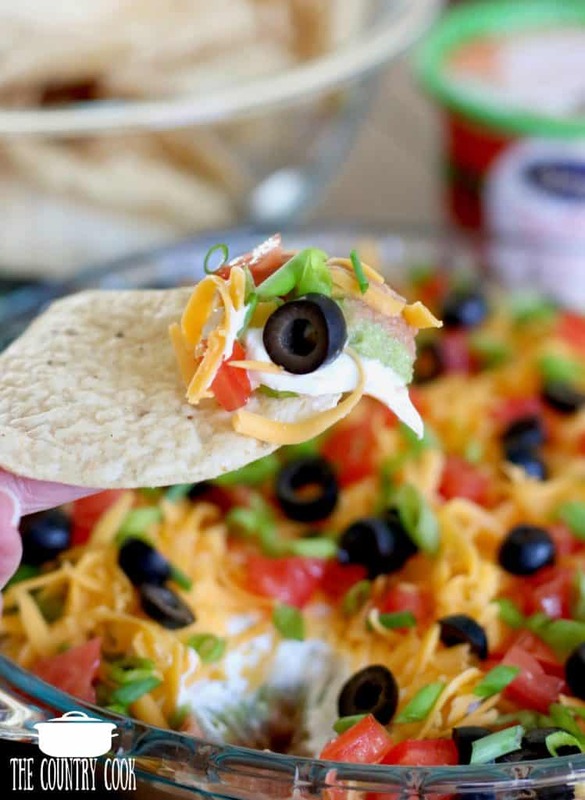 Now, if you’re having a bunch of folks over, then you need to make the best 7-layer dip. It is so simple but everyone absolutely loves it! 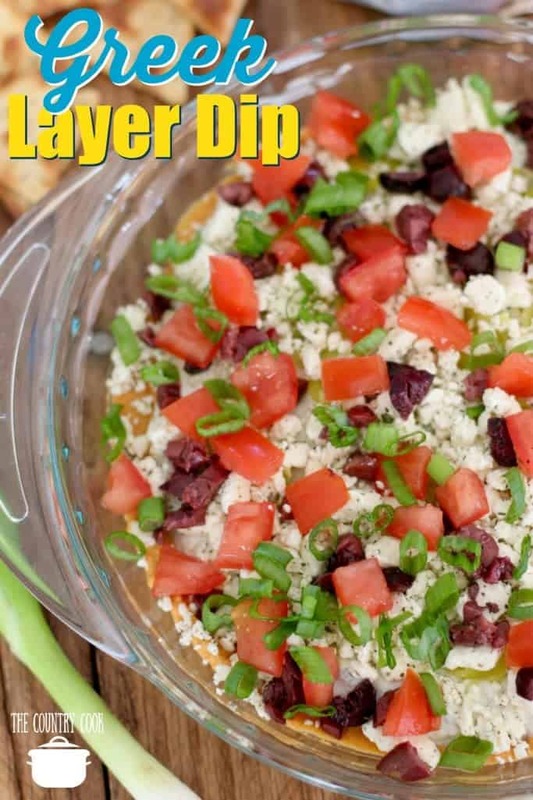 You can serve the layered dip along with tortilla chips and then have a tray of veggies and ranch dip. In my opinion, having a few different options for everyone to graze on is not only easier on the host, but then everyone can help themselves and go back as many times as they want for more! 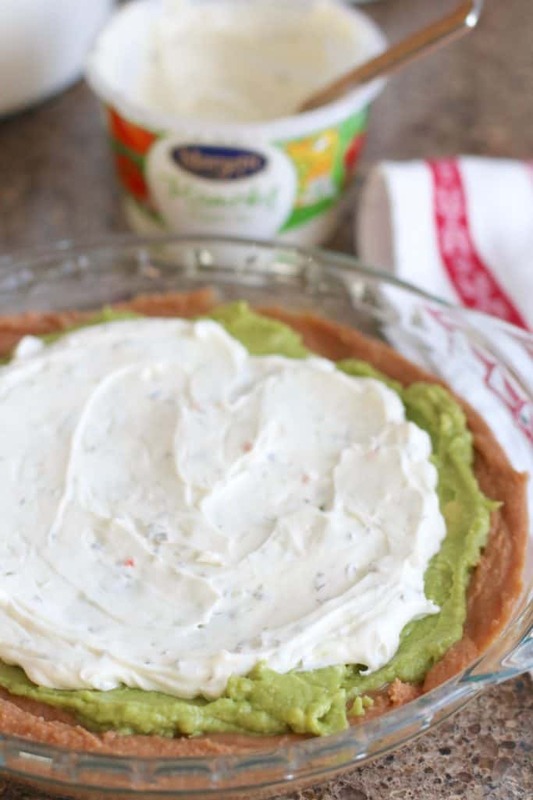 Spread the contents of both bean dip containers into a 9-inch pie pan. Top bean layer with prepared guacamole. 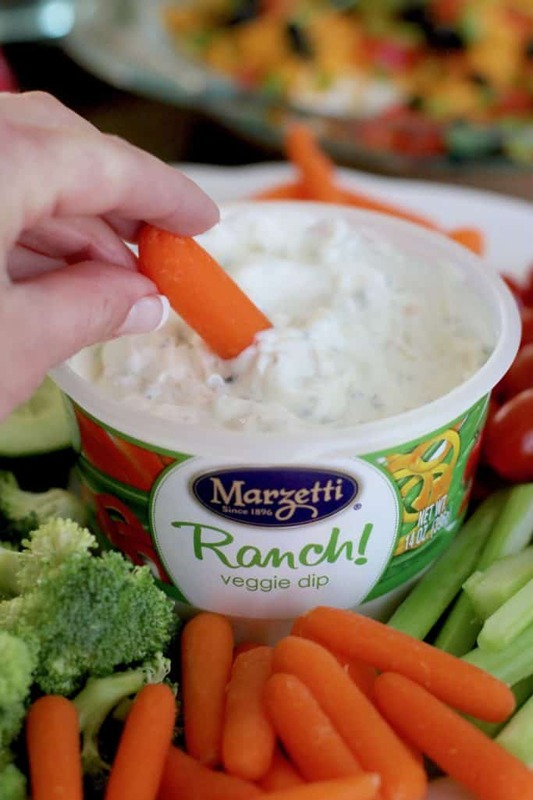 Next, top with Marzetti Ranch Veggie Dip. 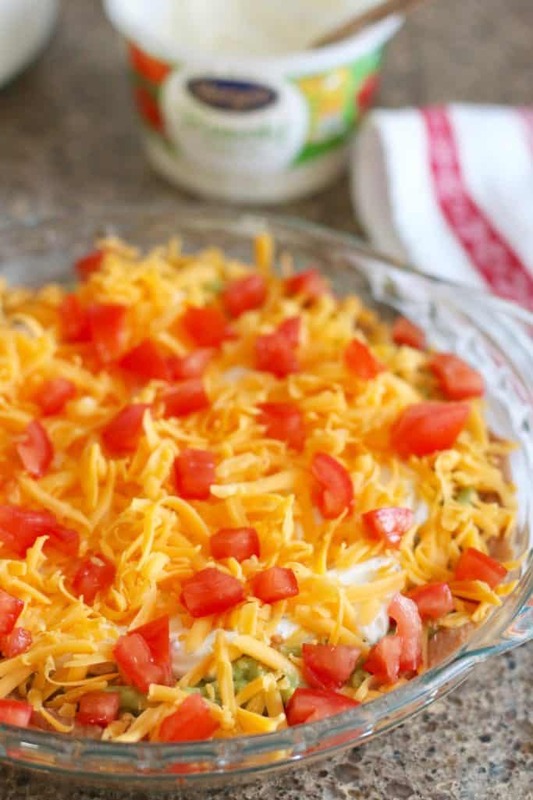 Then sprinkle on shredded cheese and diced tomatoes. Finally top with sliced olives and sliced green onions! 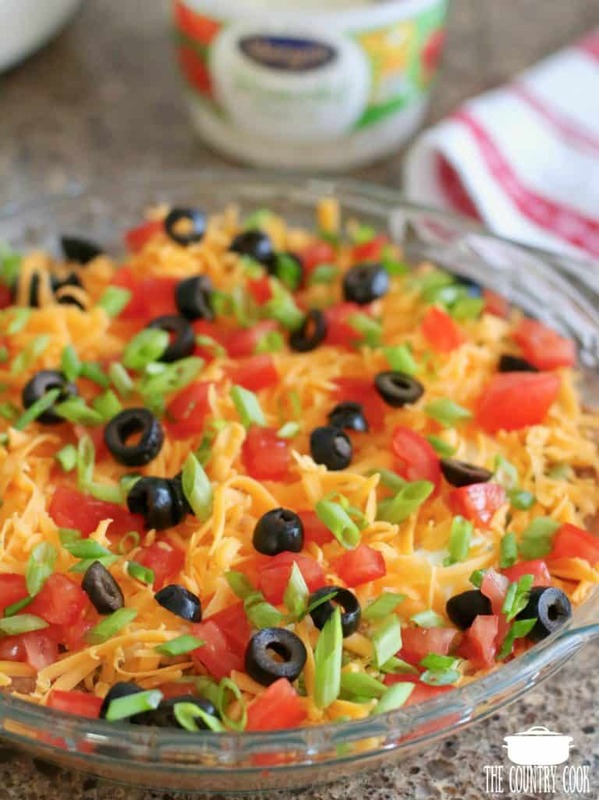 Serve with tortilla chips and dig in! 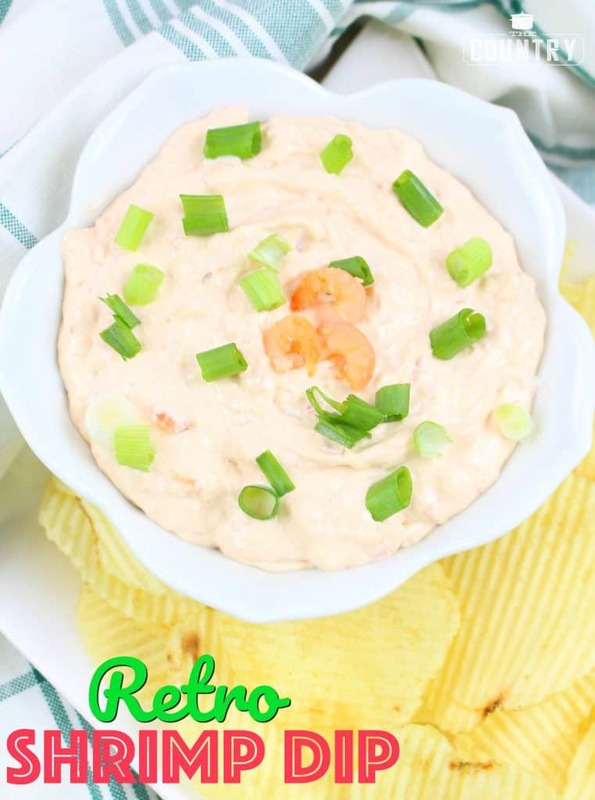 Cook’s Note: This dip works wonderful with Marzetti’s Southwest Ranch Dip too! 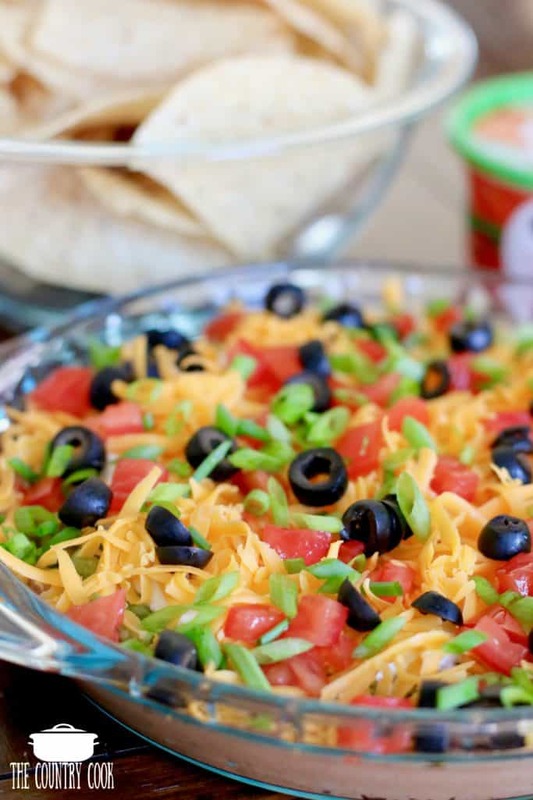 The Best 7-Layer Dip recipe (sometimes just called Mexican dip) is a must-have at any gathering. This one has a slight twist that everyone will no nuts for! Next, top with ranch veggie dip. I made this recipe for our Halloween Party and everyone loved it. 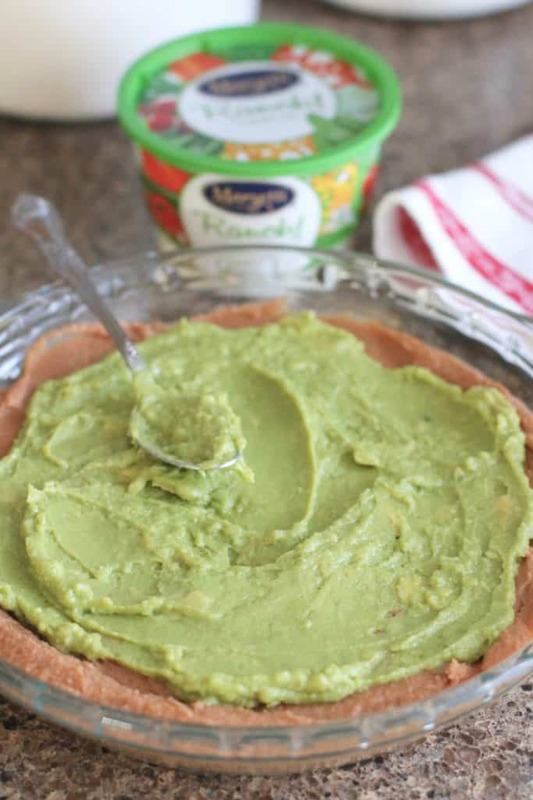 I have made it before and used the guacamole that is shown in the photo above, but our Walmart no longer carries the Marketside brand, so I chose another one and it was a bit spicier, but still very good. I reversed the order of the veggie dip and guacamole and then used a small amount of sour cream thinned down with milk and made a spider web on top of the guacamole. Put a spider ring in the center and put my olives, green onions, tomatoes and cheese around the outside, leaving the web showing in the center. I got that idea from another website. Everyone thought it was so cute. 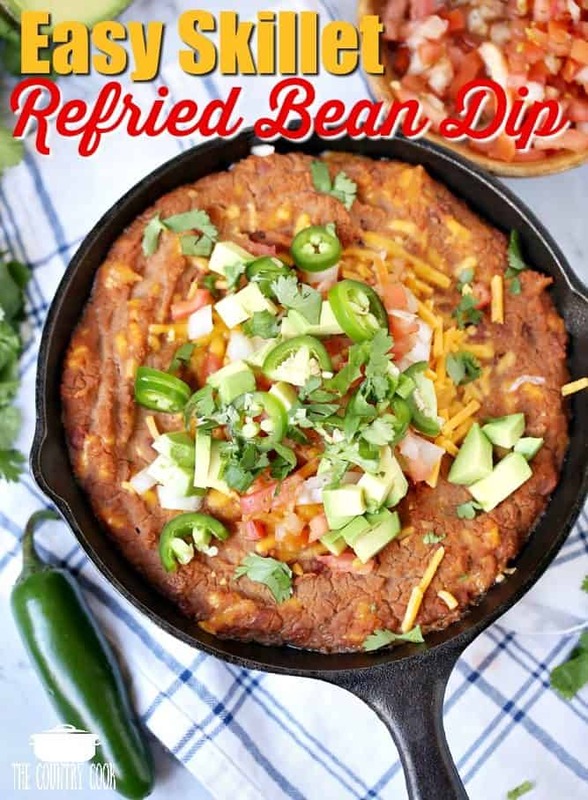 Never have seen bean dip would love to try. 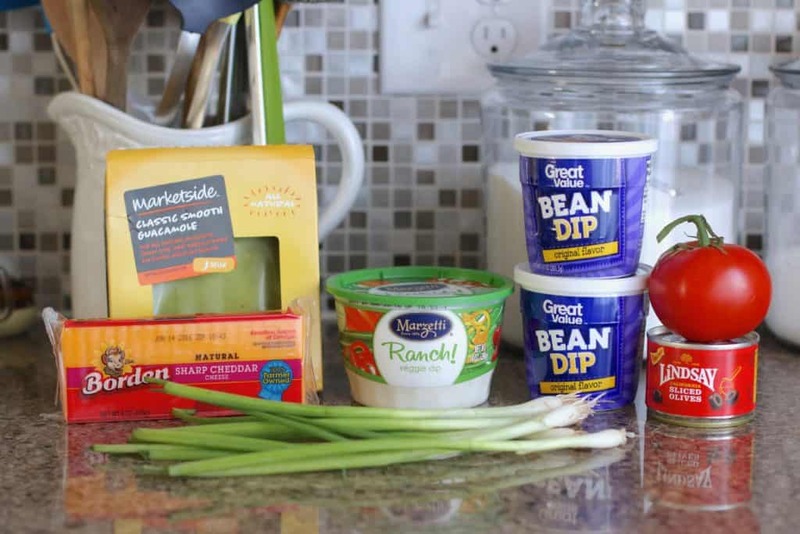 I’ve never seen Great Value Bean Dip at a Walmart in those kind of containers, like sour cream. 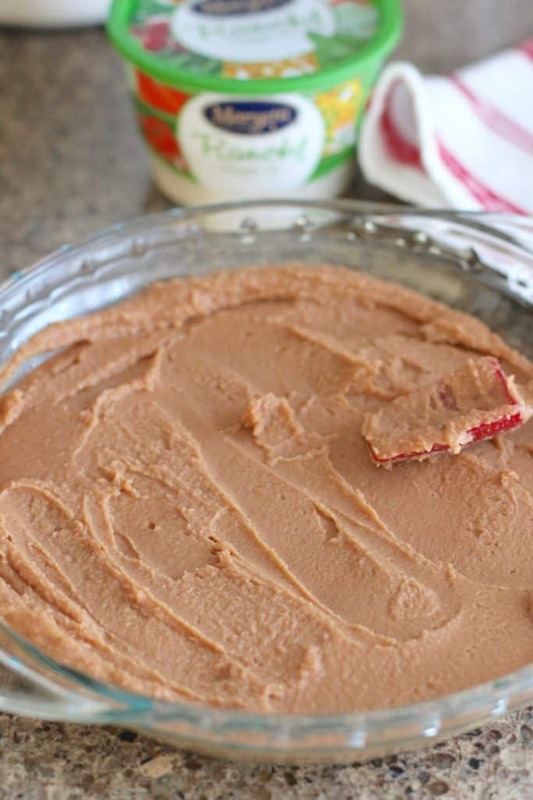 I’ve only found and used the canned Bean Dip. 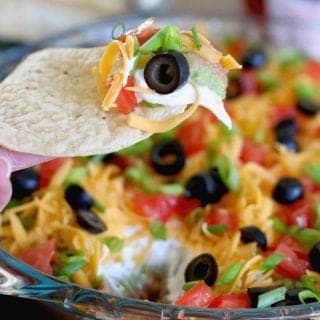 And instead of that Marzetti Ranch Dip, I use a pint of sour cream mixed with a packet of Hidden Valley Ranch Fiesta Dip dry mix.